There has been enormous research interest in beets because of the unusual mix of antioxidants that they contain. The unique combination of nutritional and nutriceutical components establishes the red beet as a marvelous vegetable, easy to grow and process its natural products. Its strong vasodilation properties, imparted pigments, flavonoids and organic nitrogen have led to deep investigations by pharmaceutical companies to reap the enormous array of health benefits. 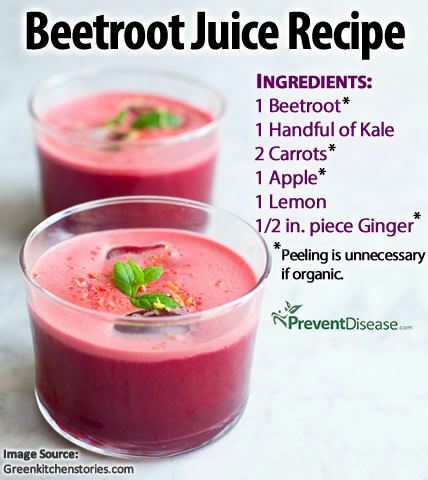 Fortunately, a vegetable can’t be patented, so the beet will always remain as a very useful dietary tool in both the prevention and treatment of disease. Scientists have specifically investigated the pharmacology behind nitrates and how they produce nitric oxide in the body, including their effects on retinal microvasculature, meaning blood vessels in the eye. 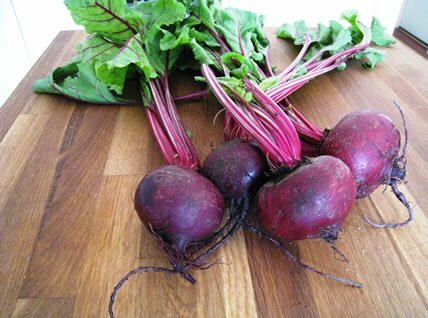 Although the research has been considered by pharmaceutical giants such as Pfizer and AstraZeneca, neither has developed drugs based on the findings likely because no conclusive data has ever been published linking beets to improved eye health. However, previous research has linked dietary nitrate supplementation with improved endothelial function in healthy humans (see here). Indeed, beetroot is high in antioxidants and is an anti-inflammatory that can help to detoxify the body. But it is also among the richest source of dietary nitrates. One cup (200 grams) of beetroot contains about 500 mg of nitrate, which is typically the amount recommended daily to achieve the desired benefits. That’s roughly the equivalent of six beets, depending on the quality of the beet. Dr. Kondrot noted that improvements can be seen in as little as three months. A key piece of the body’s ability to convert nitrates to nitric oxide is the role of digestive enzymes in the saliva and stomach. Although beets contain a little naturally occurring ascorbic acid (which aids in absorption), consumers who frequently use mouthwash or take antacids can actually destroy the enzymes needed for this conversion. It also may prove a suitable alternative for those less inclined to shovel in in six beets a day.